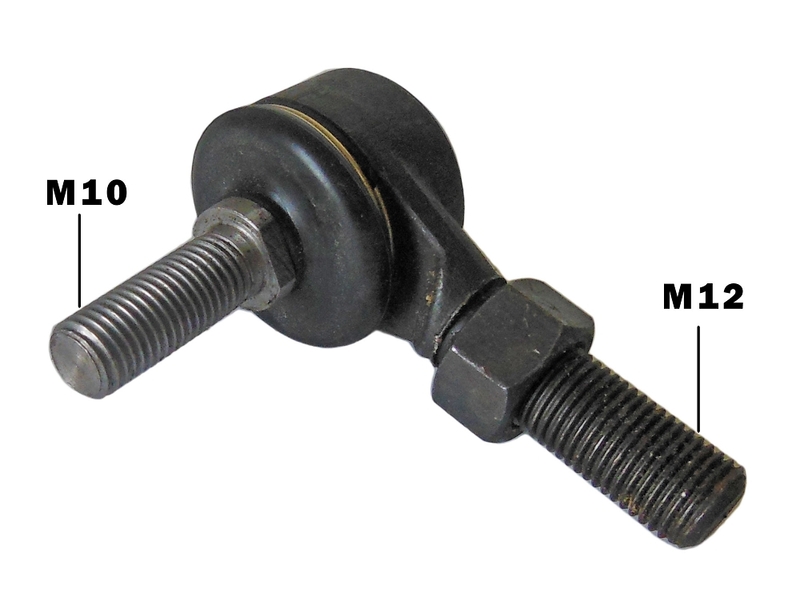 Thread Size for Rack and Pinion Rod: M12 x 1-1/4"
Thread Size for Spindle End: M10 x 1"
Condition: Rubber may be cracked, ball joint is stiff but does loosen after time, and may have surface rust (All due to storage). These rod end fits the rack & pinion steering assembly , part number 04129, compatible with for the Yerf-Dog 4x2 utility vehicles (Scout, Rover, or Mossy Oak). 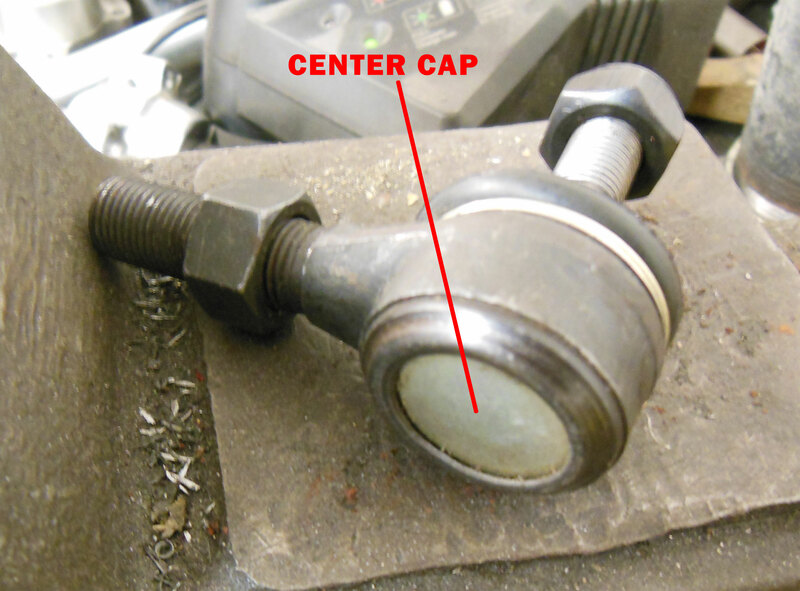 Issue: The Center Cap was pressed to tight during manufacturing. 1. 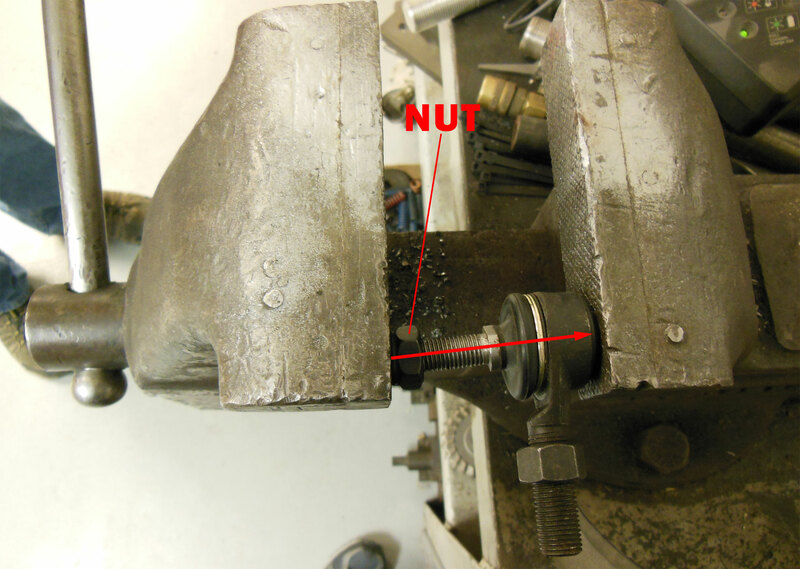 Install tie rod end with nut into a vice (see picture). 3. Check tie rod end for fluidity. If still not able to move by hand, repeat step 2.